Hey there! Thanks for dropping by Digitalwiz! Take a look around and grab the RSS feed to stay updated. See you around! Social Media, everyone in the world has to have connections to any social media outlet out in the virtual world! Twitter, Facebook, Tumblr, LinkIN, and many many others are part of the daily lifestyle of people across the world. People take social media to their homes, work affairs, lunch dates, family trips, with one device rather it be a cell phone, tablet, or anything that surf the web. As of the year 2011 there were reports of 93% of the world population engaged in social media. One could think if majority is on social media, reporting what’s happening in each of their separate worlds, or adventures; what can a journalist report, and to whom? The job of a journalist just got even harder to maintain. Not only do journalists have to keep up an era of legacy journalism, but they have to do it in a way that will fit into today’s society and culture. Can the journalist keep up? Journalists are essentially information gathers: They get information, process it and then present it in an appropriate form (Online Journalism: Foust, 3). There are several advantages of the Internet over other media, which includes: Audience control that give users more power to choose the information they want. Another advantage includes time and place access that reaches users at a variety of times and places. Non-linearity is a key advantage that involves the internet being more essential over other media; this allows stories without a predefined linear order. Internet gives space to retrieve massive amounts of information due to easily equip of storage online, which also makes storage unlimited. Immediacy is another advantage of the Internet over other media; it allows information to be published instantaneously. 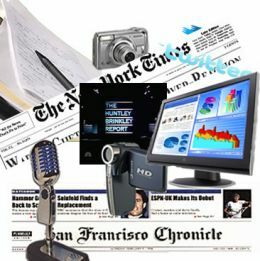 Internet allows multimedia capability that allows journalist to make a news story interesting with the inclusion of text, graphics, audio, video, and other forms of media inserted into one single story, or piece of news. One bounce back effect of online journalism is the audience participation that provides for a greater level of audience involvement of the journalistic product. Look at what journalist consist of in today's society! Courtesy of Aquariancore "Online Journalism and Breaking the rules"
There are many challenges of online journalism; one major challenge is citizen journalism. With so many advances of technology it gives space and opportunity to give the golden ticket of journalism scholarship to anyone out in the world to part take in. Citizen journalism is a two-way communication tool produced by members of the audience; this type of citizen journalistic practice can be made from blogs, podcasts, social media, etc. if possible. Selling advertising is another challenge for online journalism, because no one has found a stable way to make revenue via online for news media. Web analytics software is used by organizations and can track measurements, but it hasn’t been a success for the business side of online journalism. As legacy journalism continue to downward, online journalism is slowly climbing upward, but no one knows how successful it could be as time progress in the future. News aggregators are sites that do not report news or information itself, but rather gather news and links from other sources. For example, HuffingtonPost.com is an online news aggregator that produces news stories but within it provides links, editorials, video clips, and other media outlets to get a story told. Hyper local sites are news models that focus on very narrow geographical areas (like a suburb, a small town, or a rural county), which could be demised in proper journalistic style. For example, WDEE-TV.com serves the Washtenaw, Mich. area in reporting local news happening in that county or surrounding areas. Blogs is another news model consists of a web page that is made up of individual entries, posts that are presented sometimes in opinion based or factual but not necessarily in a journalistic matter. For example, YpsiNews.com reports on news and opinions in and around Ypsilanti, Michigan. The site also pioneers video recording for City of Ypsilanti government and community meetings. USDA & FDA: Why not label genetically modified foods? Genetically modified foods derived from genetically modified organisms (GMOs), which are organisms that have had specific changes introduced into their DNA by genetic engineering techniques. Genetic engineering techniques is the direct human manipulation of an organism’s genome (this is what holds an organism hereditary information) using modern DNA technology. 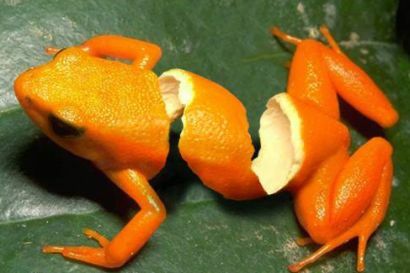 These techniques are much more precise than mutation breeding where an organism is exposed to radiation or chemicals to create a non-specific, but stable change. Other techniques of breeding by human’s modification of food organisms include selective breeding, plant breeding, and animal breeding. 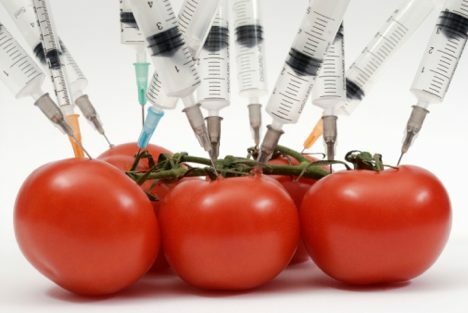 This all means that genetically modified food are basically experiments that have been researched for the possible effects on the human body. Everyday people are eating genetically modified foods without even knowing it or what these types of food could cause consequences long-term or short-term. Anyone, organization, or business should give food buyers a choice by labeling genetically modified foods and granting people the chance to know, research, or learn what him or her is consuming into their body. Food, genetically modified means that the original DNA structure has been changed. DNA is known to be like a blueprint of each living thing. Genetically modifying foods leave space and opportunity to alter the DNA, which causes for the qualities or the characteristics of the living thing, plants for example, to be changed. For plants, the goal of genetically modifying the organism aims to make plants such as corn or soy beans resistant to the herbicides, killing all of the weeds but not affecting the actual crops. Dr. Steve Windley from purehealthmd.com said researchers have raised general concerns with the safety of genetically modified foods, because there is a basic lack of published knowledge on the exposure of the possibility for long-term and short-term effects on humans from genetically modified food. Dr. Windley stated that researchers are concerned what effects might come by affecting the DNA of these crops. What happens to the crop? What happens to the animals and the humans who eat them? Are these plants causing problems now? Can the bacteria and viruses used to alter the DNA in these plants also affect the bacteria in our gut? What happens over time with our gut now that we consume genetically modified food? All of these questions cannot be answered, because no one is concerned enough to research these possibilities. Dr. Windley says that crops that are genetically modified tend to have much higher levels of herbicide residue. There is a rapidly growing concern that these genetic mutations will lead to more allergies. We don’t know what we are eating, but everyone should have an opportunity to know exactly what their consuming in their bodies. Dr. Windley presented evidence that includes a demonstration of a person who was not allergic to the wild soy plant; however, was indeed allergic to the GMO (genetically modified organism) soy. Some research has been done to prove GMO foods can negatively affect the immune system and inflammation in animal studies. One of the main scientists commissioned to study GMO crops was Dr. Arpad Pusztai and worked on publishing research with GMO potatoes. Dr. Pusztai work showed precancerous changes in the intestinal tracts of rats along with other changes to the liver, brain and testicles. This gives more reason why we should conduct research on the human body from the consumption of genetically modified foods. From a study, “Categorizing genetically modified food products: Effects of labeling on information processing,” by Petra Tenbult, Nanne De Vries, Ellen Dreezens, and Carolien Mantijn; states advocates claim that labeling will ensure that consumers have more complete information, enabling them to make more informed choices. Knowledge defines us as a culture, individual, or person. Enabling labels for GMO products will categorize what foods are genetically modified, how they’re grown and what they’re grown with. Petra Tenbult suggests “classification enables us to use our knowledge about categories and to make sense of individual members of the categories. Ellen Dreezens suggests, “People activate different aspects of their mental representation depending on which aspects are relevant.” If people are aware of genetically modified foods, they could have a choice to rather consume such foods, or stray away from them; but the ultimate power is held in the people’s hand. A survey was conducted and thus asked U.S. respondents “If the USDA/FDA made a public statement about the safety of biotechnology would you have a lot, some, or no trust in the statement about biotechnology?” The response concluded the USDA carried the support of 90% of respondents, the FDA 84%. After generating all the reasons why labeling genetically modified food display common good and the betterment for the human race. It seems that the right thing to do amongst the citizens of the U.S. is for the USDA/FDA to generate food labels for genetically modified foods, and thus granting the American people a choice on what foods are safe for them to consume. WDEE-TV.com serving Wastenaw County of Michigan, the best way it can! Many citizens of Ypsilanti area in Michigan practice modern ways of everyday living, and communication. Can one wonder how one form of communication could change the entire outlook on this modern-day city? 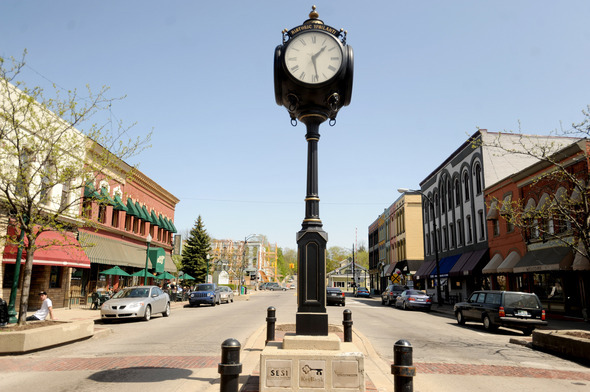 City of Ypsilanti, Michigan contains a population around 20,000 people. The “slow economy” is shaping people to try different angles in how they provide for their families. This is what led Tony Dixon to create his own TV website; one in a few to do this coming from Washtenaw County in Ypsilanti, Michigan! For most people living near Michigan Avenue in Washtenaw County catching the scenery for them brings hope; it’s that type of town. As you walk down Michigan Avenue, you can’t help but stumbled on a yellow and red brick building that is surrounded by artistic pictures and paintings attached to it. Dixon took me on a tour of the studio of A2YP.TV, which included several computer monitors, audio equipment, and a laptop that’s used only to create and monitor the avatars that help produce the Internet TV station. A2YP.TV is a program designed to provide the Washtenaw County with breaking news and entertainment. However, A2YP.TV isn’t a news station, but rather a second source for the community to get news and other entertainment via Internet. Most people are living a fast paced life with only two things to keep them tune in with the rest of the world, which is a cell phone or some sort of computer device. While brainstorming on how to catch a mass audience; Dixon thought of a way to bring local news and other entertainment to the Internet. “Hopefully, A2 will set a goal where people can feel more comfortable of watching TV via Internet,” says Dixon. More and more with technology advancement people are going to be interested in TV provided via Internet. Tony Dixon, Founder of WDEE-TV.COM! A2YP.TV was formed in June 2010. With a prototype stating, “Focused on Washtenaw from Ann Arbor to Ypsilanti counties.” Dixon operates avatars Monday thru Thursday to release breaking news and other news that is happening around Washtenaw County. Friday thru Sunday there are three live acts, which provides entertainment, and a high school sports news update program ran on Saturday mornings. “The best part of producing A2YPT.TV is the positive energy from the talent of my announcers I have, and the creation of the avatars I format on the TV station, says Dixon. I GUESS PRODUCING AVATARS FOR A JOB ISN’T BAD! “Communication is forming a new respective, TV is forming a new perspective; the first way of communication which is radio, is forming a new perspective. Therefore, A2YP.TV will form a new perspective of communication,” says Dixon. There is a new site in replace of A2YP.TV, and it is WDEE-TV where it’s set up as a social network type of news gathering site. Again, the site generates news around the Washtenaw County. WDEE-TV.com has over a thousand subscribers with over a hundred likes from Facebook, and 69 followers on Twitter. Numbers is not looking demanding, but it looks promising for an incredible future of WDEE-TV.com! Taking a picture with Mother Blanche Lamb ! 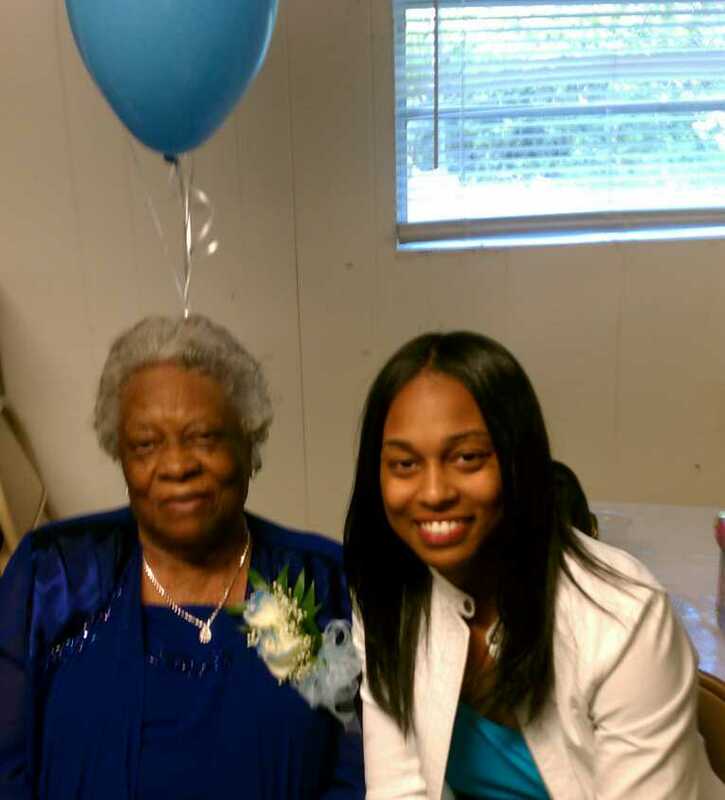 Mother Blanche Lamb, celebrating 90 years of precious life, but you couldn’t tell if you were standing next to her. Mother Lamb gave birth to 12 children, with only 2 late children leaving her behind along with her late husband Mr. John Lamb. Mother Lamb also heirs a total of 74 grandchildren. “One blessed soul,” can only come to mind when thinking of Mother Blanche Lamb. Saturday, April 7, 2012 the children of Mother Lamb celebrated their Mother 90thbirthday at a church in Burgaw, N.C. along with friends and the community. The celebration proceeded in a church-like matter, because it demonstrated their religion being the forefront of their culture and family values. 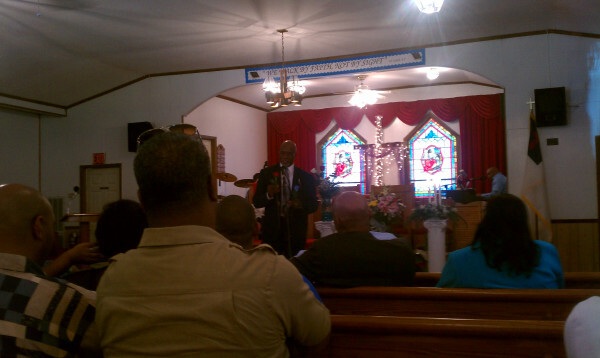 The Master of Ceremony was given by Deacon William Lamb, Mother Lamb oldest son. Master of the Ceremony, William Lamb. The oldest son of Mother Lamb. He contended the ceremony with praise and worship in the celebration of a precious 90 years given to the Mother of their household. Gas Prices are so HIGH: Who fault is it? Romney and other Republicans say Obama’s regulation policies are helping to spike gas prices by restricting the development of domestic oil supplies. Romney suggested that Obama’s intentions to move people to wind and solar could be another serious downfall in cost. The New York Times brought up the 2010 book “No Apology,” by Mr. Romney described a gradual increase in the cost of energy as the kind of market-based incentive that conservatives could embrace. 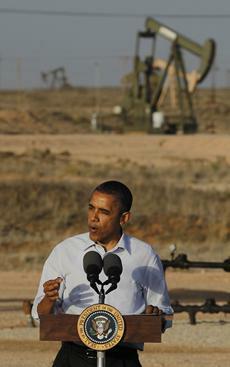 In the book, Mr. Romney called for greater domestic exploration and drilling. 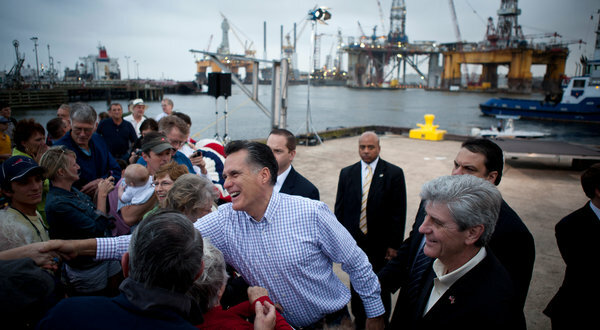 Romney suggested that higher energy prices could cause collateral damage on people who drive great distances, businesses that consume a lot of energy and people on fixed incomes. However, President Obama and his campaign fire back saying “While President Obama is taking serious action to make America less dependent on dirty and dangerous sources of Middle East oil and create clean energy jobs here at home, Mitt Romney and the oil companies bankrolling his campaign are profiting from high gas prices politically and financially,” said Paul Begala, senior adviser for the group called Priorities USA Action; reported by USA TODAY. “How can the American people trust Governor Romney to bring down gas prices when he and his biggest backers benefit so much from gas prices being so high?” Begala said. EMU student, Deon Patterson want to make a difference! Striving to make a difference and glancing through a small window; he’s on a journey to become one in a few who will contribute to the world without following a trail, but being the head of it. Deon Patterson, an Ypsilanti, Mi. native attends Eastern Michigan Universitywith an academic focus on Journalism, and Electronic Media Film Studies. His goals in life are to be successful, and happy. “People walk around with a story, I want to get those words across,” Patterson said. Patterson being the younger one to his older brother, he had to make up for massive slack from others. Being the child that had to do chores, learn how to cook, and other things to make him the kind of person he is today gave him space to part away from those things as an adult. “Because I had to put up with the older kids slack and was forced to stay in the kitchen, now that I’m older I stay away from the kitchen,” Patterson said. Patterson family ties were what untied him from the usual path that everyone from the family undertook. Patterson from the beginning did not follow his dreams of pursuing journalism. 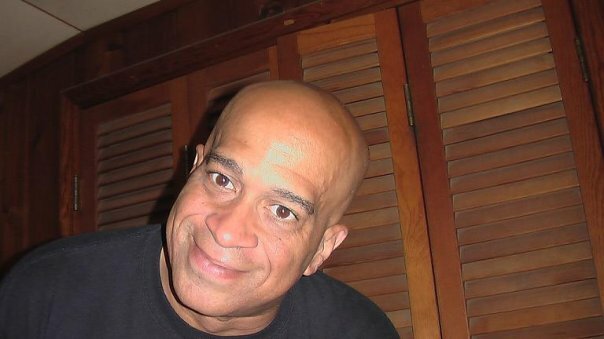 He started off attending Baker College in Michigan, studying Business Marketing. In his freshman year, Patterson quickly realized going for a business degree wasn’t his dream; it was sort of an obligation. “Everyone in the family pursued business, and received a business degree. So I thought I had to follow the trail, but soon I realized that going in a business academia wasn’t for me to do,” Patterson said. Planning to graduate in spring 2013 from Eastern Michigan University, Patterson sees himself attending Graduate school in one of the four states including Atlanta, Washington D.C., Los Angeles, or New York. These four states has a great master program for broadcast journalism. “My next step as of this year is to continue what I’m doing, and graduate in spring 2013. After that I plan to take the needed steps to head towards the success I envision,” Patterson said. KONY 2012: Not taken seriously after Jason Russell’s public humiliation! When you thought the world recognized the dangers of KONY and when you began to gain the people’s trust, there goes the sanity. Co-Founder of ‘KONY 2012’ Jason Russell, whose 30-minute video sensation went viral, has made a turn for the worse-not intentionally? Russell, was spotted two weeks ago erratically peregrinating the streets of San Diego, Calif. After the world has seen video postings of Russell jerking off with pacing back and forth, on the sidewalk naked in broad daylight; this type of incident is certain to raise questions over the viability of Russell’s Invisible Children Group. 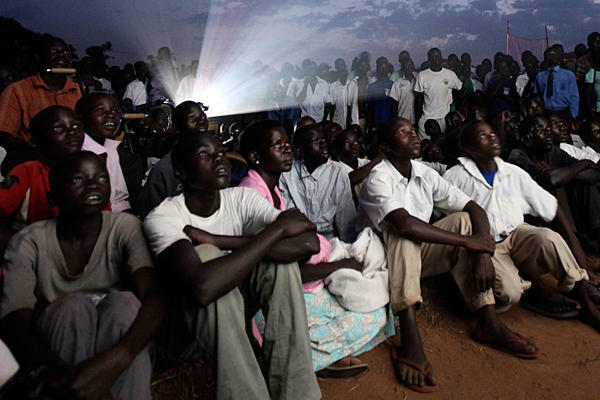 Being the Co-Founder of KONY 2012 video group and creating an organization that is titled, “Invisible Children,” will spark controversy. What will the world think of KONY 2012 after a bizarre incident like this? Vancooversun.com states that doctors are treating Russell for “brief reactive psychosis; an acute state brought on by the extreme exhaustion, stress and dehydration.” The family stated, “Though new to us, the doctors say this is a common experience given the great mental, emotional and physical shock his body has gone through in those last two weeks.” Co-Founder of KONY 2012, Jason Russell was seen acting irrational on the sidewalk of San Diego area, which even led to witnesses to report such behavior. “Because of how personal the film is, many of the attacks against it were also very personal and Jason took them very hard,” said Russell’s wife Danica. However, despite why and how Jason Russell suddenly became ill it still remains that there is a strong possibly of KONY 2012 being demolished, because of this public humiliation by the Co-Founder who helped make KONY 2012 “very apparent” and an amicable organization to bring Joseph Kony to justice. For many sports fans nothing comes to mind, but excitement and unpredictability of the NCAA tournament. Now, that the bracket has been unveiled, millions of sports fans, university-based fans, and anyone that seek a challenge will be filling it out for bragging rights, money, work-related prizes, and more. Whether its with your family, co-workers, a group of friends, or loads of strangers worldwide; everyone will be all eyes and ears glued to the ESPN.com’s Tournament Challenge. Look at some major NCAA tournament bracket facts below! That’s the record of No.1 seeds against 16-seeds, and only 11 times have they won by single digits (with the last time being in 1997). 16’s are known to be an elusive first victory. Prepare that the top 16 teams will survive, according to ESPN.com, it has been only four times that the top four seeds in each region survived their first game (1994, 2000, 2004, 2007), therefore, consider at least one big upset in the early going. 12-seeds have reached more Sweet 16’s than 7- and 11-seeds, more than 8s and 9s combined and just one fewer than No. 10s. No. 12 seeds have won at least one game in 21 of the past 23 years (no wins in 2000 and 2007) and at least two games in to of the past 11 years. REMINDER: Teams Seeded 7th or Lower, Since 1985! According to ESPN.com since 1985, only 10 times has a No. 8 seed reached the Sweet 16. That’s to be expected, since a No. 8 seed is matched up against a top seed in the third round. Seven of the ten to do so advanced to the Elite Eight, and four of those seven reached the Final Four, including Butler last year. Among teams seeded seventh or worse, only Non. 8 and No. 11 seeds have reached the Final Four. Remember, in 2011 marked the first time in five years a No. 1 seed didn’t win the national championship. Overall, nine of the past 13 national champions have been No. 1 seeds. My bracket reveals that the championship game will include DUKE vs. OHIO STATE!!!! WHICH TEAM ARE YOU REPPIN’? Indiana and Kentucky busy with tornadoes and new plan to build two new bridges! No one knew that heavy winds, rain, and hail were going to turn into a massive tornado. 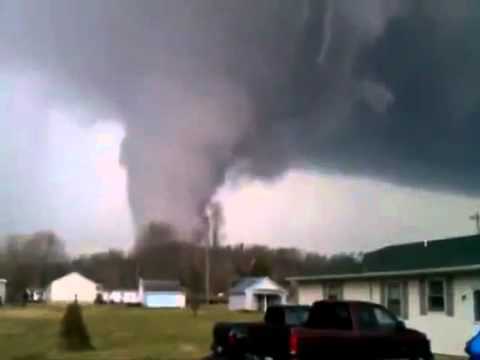 The tornado caused a total of 40 persons killed with 13 in Indiana, and 21 in Kentucky. Tornado deaths raise questions if dangerous winds are the reason why the death toll continuously jumping higher. “Sixteen people in Kentucky and eight in Indiana died as their mobile homes were rolled, flipped, flattened or obliterated by twisters with winds that in some areas exceeded 175 mph.” In Kentucky and Indiana, newly built mobile homes withstand winds only up to 90 mph or lower. With FEMA assistance the mobile homes that will be rebuilt again should consider a better built construction against natural disasters. According to HuffingtonPost.com President Barack Obama said six southern Indiana countries devastated by severe weather and tornadoes last week were eligible for federal disaster assistance, President Obama responded to Governor Mitch Daniels request for aid after strong storms and tornadoes hit the rural southern part of the state on March 2 (killing at least 13 people), three days before Governor Mitch Daniel signs a $1.5 billion plan to construct two new bridges. Questions has lured about the Governor of Indiana signing a $1.5 billion plan to build two new bridges across the Ohio River. On March 5th the Governor fled out of Indiana (the state that was just affected by a destructive tornado) to sign a $1.5 billion plan that is in the works to be used in a construction that is said to begin before year’s end. 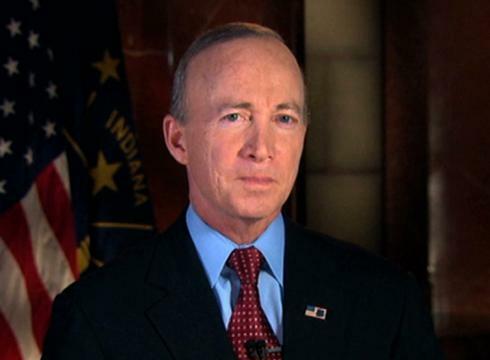 “Decades of waiting for greater convenience and quality of life in the metro area will soon be over, but that’s only part of what’s ahead: Southern Indiana has tremendous economic prospects and these new bridges are the key to making them real,” said Governor Mitch Daniels, according to a press release titled Governors agree on plan to pay for two new bridges across Ohio River. However, what are the efforts to getting Indiana back to recovery over the massive destruction of the tornado? The Governor also stated “total devastation,” in response after media professionals repeated the terrible facts of the Indiana tornado leaving behind a $5.8 million in property damage. However, a plan to build two new bridges for $1.5 billion has been taking place, but what about the unplanned massive tornado that just hit both Indiana and Kentucky?